Seventy-five percent of countries report cash is used in over 50% of transactions, finds the Global Cash Report 2018 published by G4S. As it turns out, all this 'cash is dead or dying' hype is no more than hearsay and not at all based on reality. In terms of the public's relationship with cash, it is clear that it is demanded across all continents. As the G4S report shows, both per continent and on a global level, cash is not just important... it is increasingly important. Globally, the value of ATM withdrawals experienced a positive (average weighted) growth rate of 4.6% in 2015. “People trust cash; it’s free to use and readily available for consumers, it’s confidential, it can’t be hacked and it doesn’t run out of battery power– these unique qualities continue to hold significant value to people living on all continents." In North America, the value of ATM withdrawals has largely stabilized, growing only marginally, however cash is still used for over 50% of small-value transactions under $25. In Europe, 79% of point-of-sale transactions are in cash. 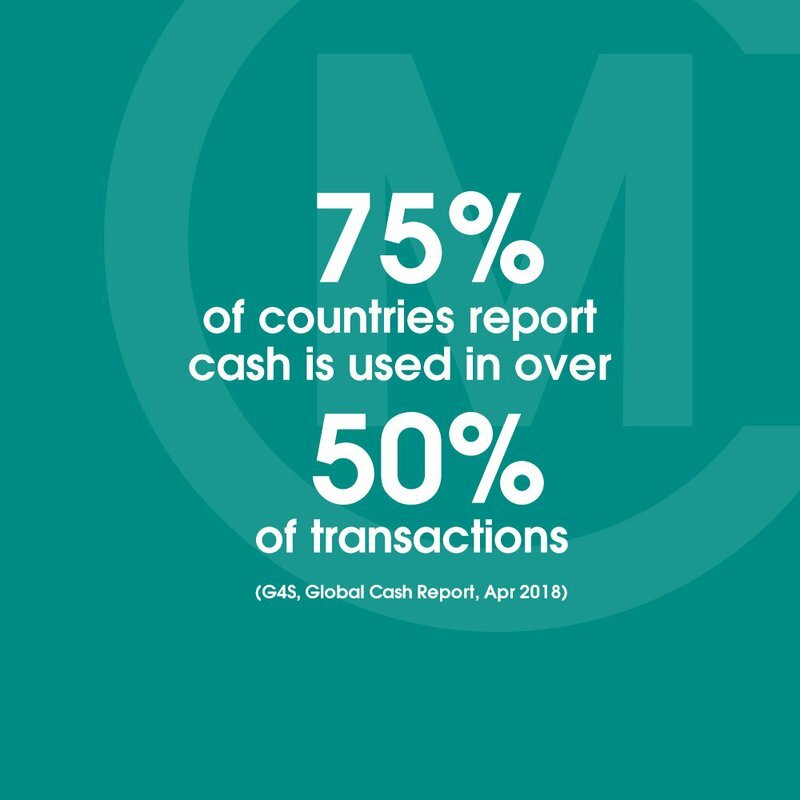 In 2016, 60% of all transactions in Europe were made in cash.75% of countries report cash is used in over 50% of transactions. 24 of the studied countries had available cash surveys. Of those, 18 reported that cash was used in over 50% of transactions. G4S is the leading global, integrated security company, specializing in the provision of security services and solutions to customers. Our mission is to create material, sustainable value for our customers and shareholders by being the supply partner of choice in all our markets. G4S is quoted on the London Stock Exchange and has a secondary stock exchange listing in Copenhagen. G4S is active in around 90 countries and has around 560,000 employees.